The Hamilton Tiger-Cats announced Monday that the football club has signed international free agent quarterback Logan Kilgore. Kilgore, 27, dressed in all 18 games with the Toronto Argonauts last season, making seven appearances and starting three times. Overall, he registered 63 completions on 114 pass attempts (55.3%) for 728 yards with two touchdowns and 10 interceptions. 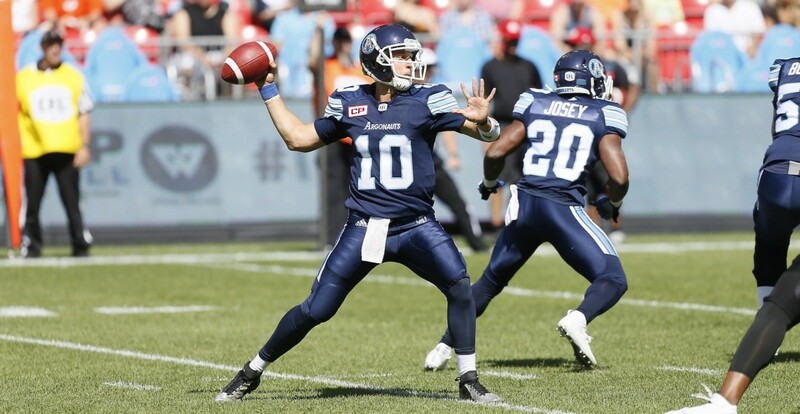 Kilgore made his first-career CFL start on July 31 at Ottawa, posting 322 passing yards and engineering a fourth-quarter comeback for a 23-20 win over the Redblacks. The 6-3, 206-pound native of Rocklin, California, signed as an undrafted free agent with the National Football League’s New Orleans Saints in 2014 and attended training camp with the team before joining the Argos later that season. Kilgore played four seasons at Middle Tennessee State University (2010-13) before turning pro, totaling 692 career completions (67%) for 7,849 passing yards and 53 touchdowns, and adding 208 rushing yards on 96 attempts with four touchdowns. He became the first player in school history to have three-straight 2,000-yard seasons (2011-13), completing at least 200 passes and 16 touchdowns in all three campaigns.